At Flannery's, We Love the Dirty Work. If you have junk you’re looking to get rid of, Flannery’s Handymen can take it off your hands. Do you have old electronics or clothing that you’re not ready to part with because you just hate throwing things away? Let us take care of it. We’ll either turn your trash into someone else’s treasure by finding a new home for it at goodwill, or junk it. Problem solved. No item is too large for us to remove. So whether you are just doing a little spring cleaning, or clearing out the attic, we do it all. And after removal, you’ll never know there was even a mess there. We clear away trash, rubbish, debris – you name it, we’ll take it. Or, if you’d rather do it yourself, just let us know and we can rent you one of our dump trucks for you to fill. Once you’re finished, your part is done. We’ll come pick it up, carry it out and take care of the rest. 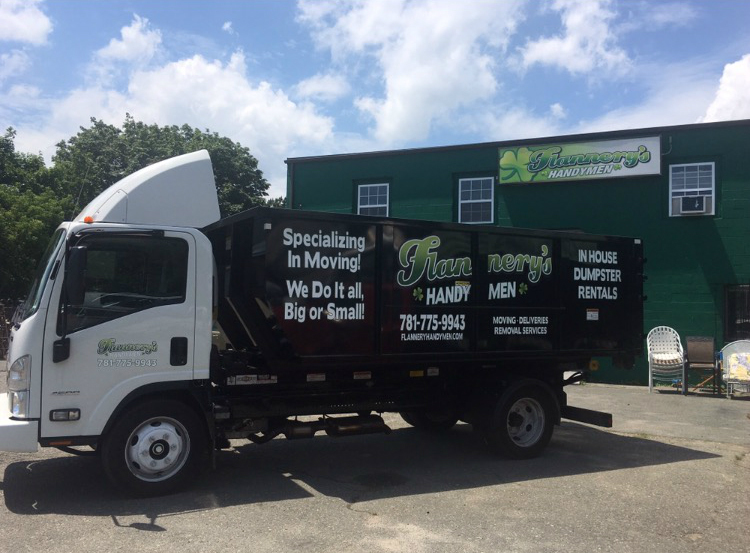 With two dump trucks, Flannery’s Handymen work efficiently to clean up any mess of junk, leaving nothing in your way. Never worry about what to do again to get rid of that old fill-in-the-blank. Just pick up the phone and call Flannery’s Handymen for fast, friendly service and let us take care of the dirty work. Interested in working with Flannery's? Let's chat!